She is learning fetch and she watches carefully but is still deciding whether she would like to partake or not…. 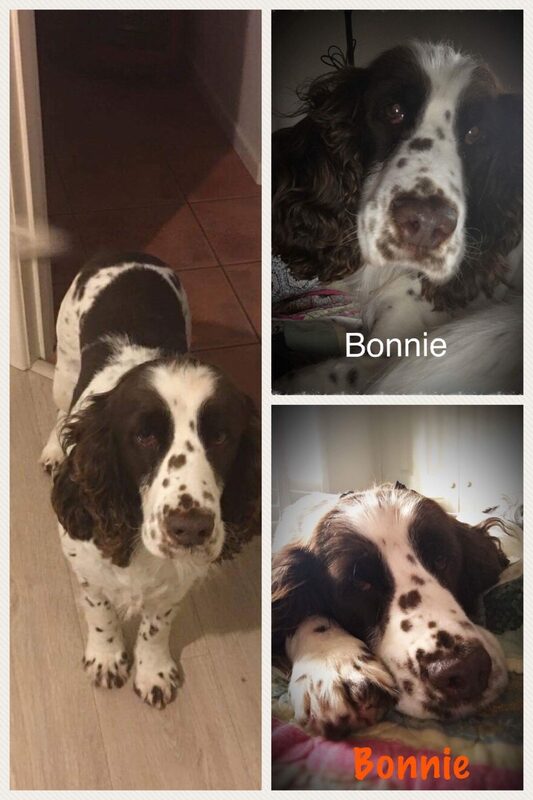 Bonnie is still a bit skittish at first but she is a friendly girl who loves to snuggle up on the couch with her Foster Family but happily sleeps in her own bed at night. She loves her soft toys and your smelly socks! She responds to basic commands but her forever family should continue with her training and this includes lead training as she will pull when on leash. Bonnie is fully toilet trained and goes to her forever family desexed, vaccinated, wormed and flea treated. She is very good with food, gently accepting treats when offered by hand and happy to eat alongside one another. Bonnie is a generally loving girl and her ideal forever family would continue to teach her the ways of being a member of a family now that her farm life days are over. We have had these Bonnie in rescue now for a few weeks and as her confidence grows, her individual personality is emerging which is beautiful to see. Given that she is are used to ‘farm life’ she is still getting used to everyday noises and can be ‘spooked’ easily by loud noises and also sudden movements She is very unsure of small children and therefore we are looking for a family without children under the age of 13 years. Bonnie would also love the company of another friendly dog.